Everyday, boys choose to come to Urban Light’s programs and center as a choice to empower their lives and make a positive change. We’re slowly but surely winning the fight against the exploitation of teenage boys in Chiang Mai. LOVE always wins. In my final year at Towson University (2010-2011), the problem of bullying and harassment experienced among teenagers and youth had reached its peak (or at least was getting noticed), with record numbers of kids turning to self harm and even suicide as methods of coping. The ethos of the American society up to this point allowed toleration of the bullying as “just a part of growing up;” however, a shift began to happen and people began to stand up against the problem. 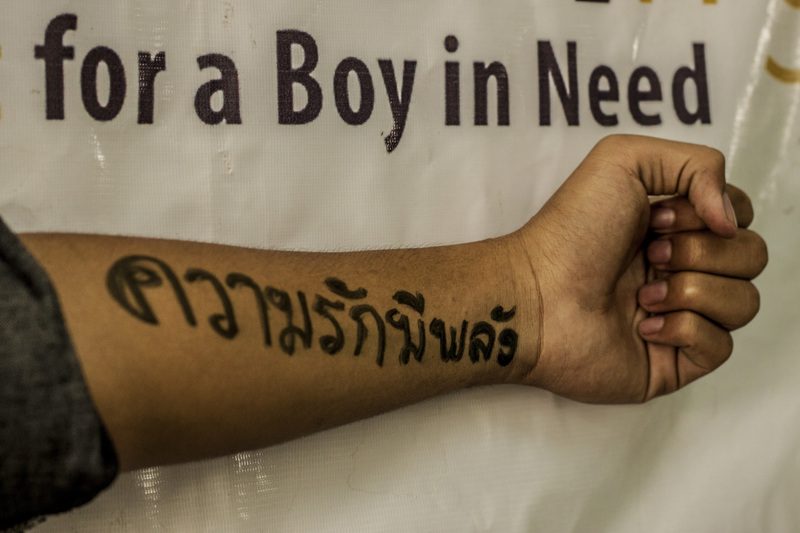 Working with teenage boys in Chiang Mai, we see issues of bullying all the time from the kids that come into our center and we thought it was important to address the problem head on. While in college, one of my wonderful advisors and friends (shout out Laura Smith) introduced Love is Louder to Towson University to reinforce the “you are not alone” message to all those on our campus that have experienced bullying or were in need of someone to talk to. This national campaign was started in the US around the time when teen suicide and bullying came to the national radar at epidemic levels. Started by The Jed Foundation, MTV and Brittany Snow, the project aims to support anyone feeling mistreated, misunderstood or alone. The project has amassed a huge following across the country with thousands of ordinary people and celebrities standing up against bullying of all kinds. 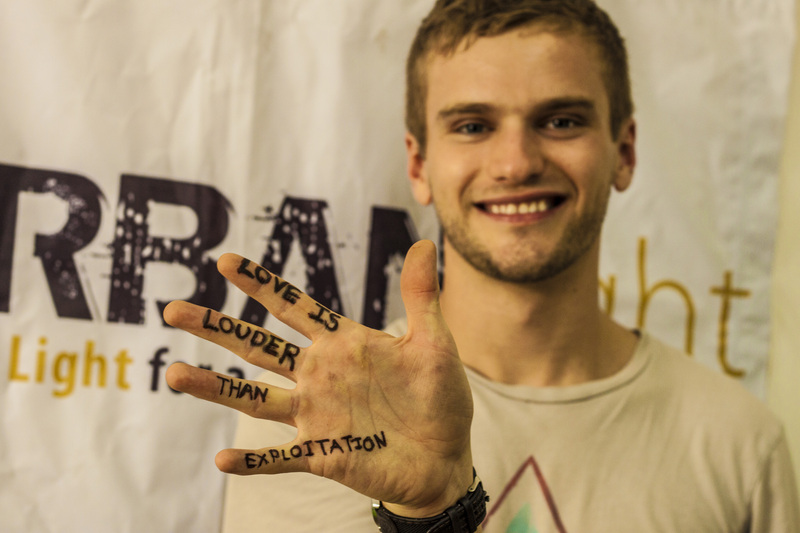 There have been thousands of pictures submitted to Love is Louder and we at Urban Light wanted to join the movement, taking this awesome idea and message worldwide. 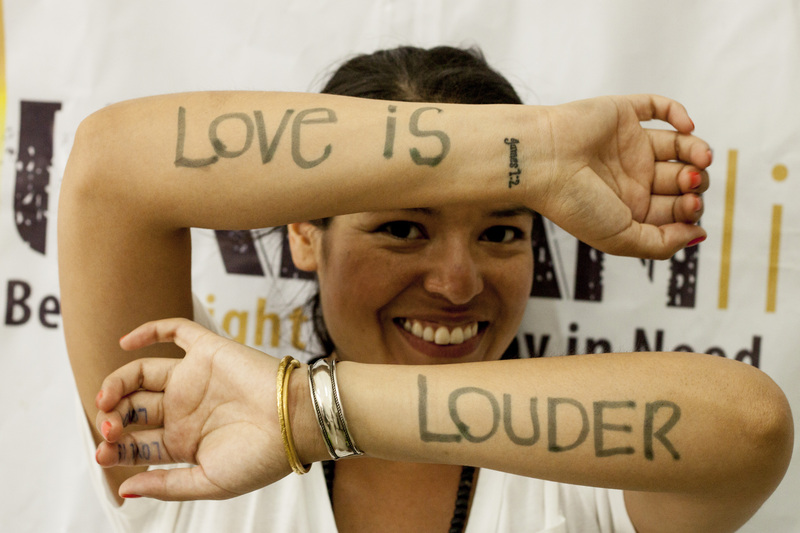 Urban Light founder Alezandra Russell rockin’ the love. 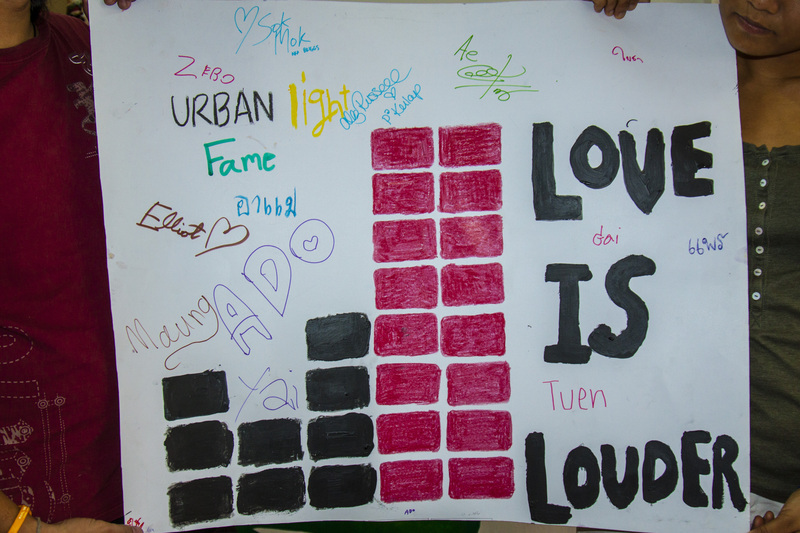 All of our boys and staff that participated in the program signed this poster as a commitment to keeping the Urban Light center a safe space and a place where everyone treats everyone with respect. If there is a fight that needs winning, LOVE is something we can all use as ammo. It is so encouraging seeing the work Urban Light is doing in Thailand. Boys that once worked in red-light district bars are now successful waiters, salesman, and even staff at Urban Light. Many are turning their lives around by participating in our transitional housing program. 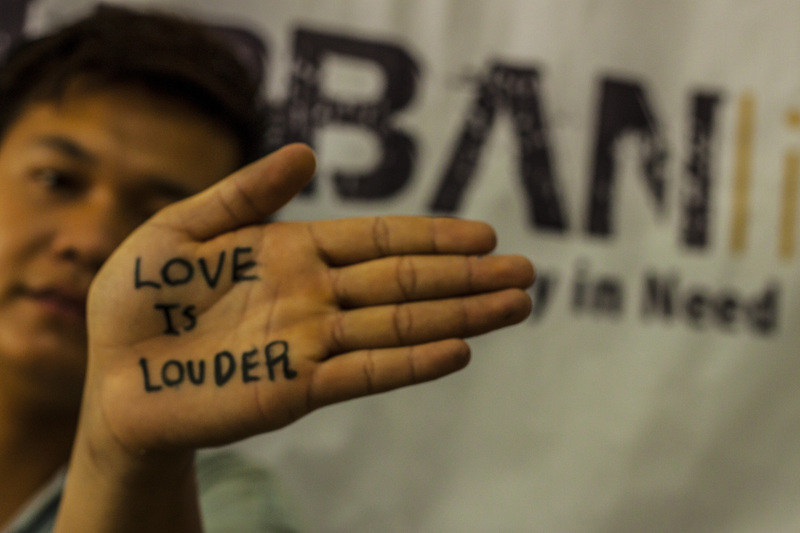 Urban Light has created a safe space for these boys, and though we may not be able to solve all of their problems or give them everything they may need, there is certainly one thing we can always give and won’t stop giving: LOVE. Did you give some today? 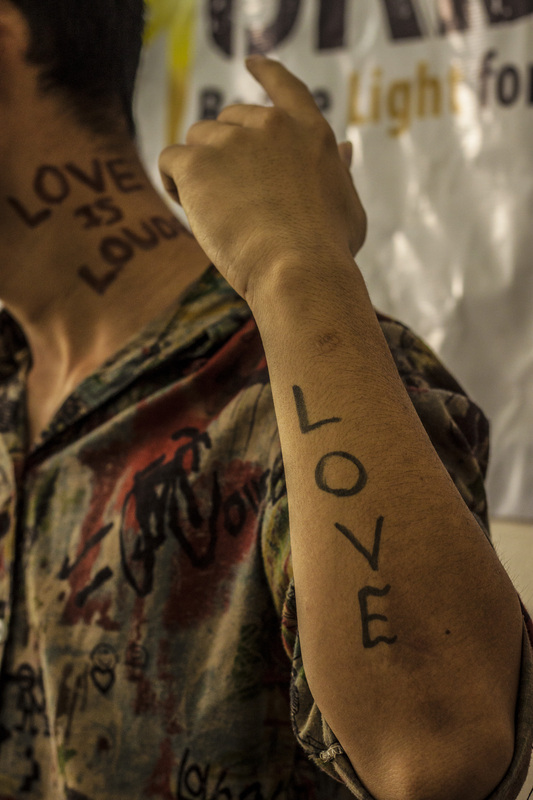 View FULL ALBUM of Urban Light’s Love is Louder photos on my Flickr page. 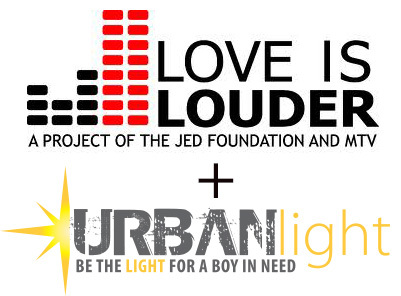 To support Urban Light’s programs, donations can be directed HERE. 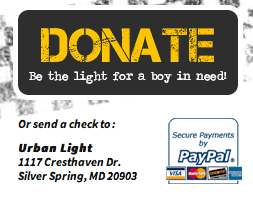 Urban Light is a registered 501(c)(3) non-profit. All donations are tax-deductible. 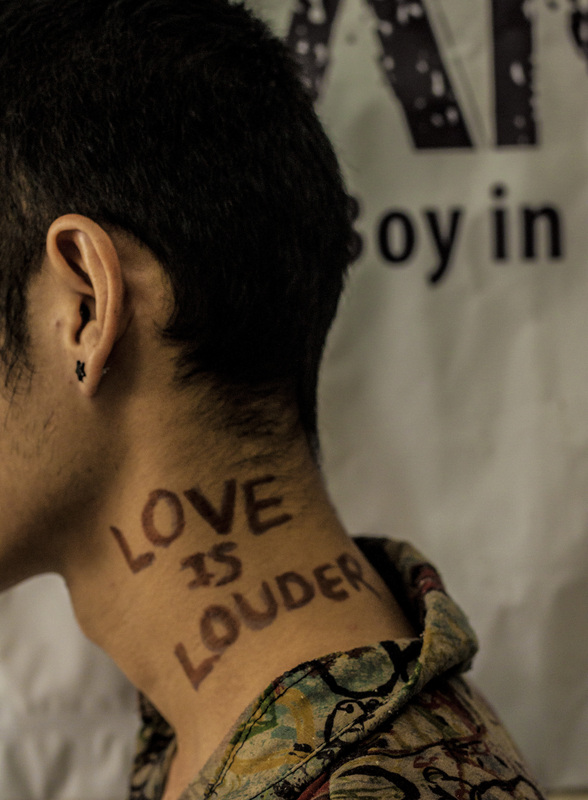 This entry was posted in Photography, Urban Light and tagged anti-bullying, boys, Brittany Snow, Chiang Mai, exploitation, Jed Foundation, love, Love is Louder, MTV, Thailand, Towson University, United States, Urban Light by ejglotfelty. Bookmark the permalink.